This past week we experienced our first winter cold snap of the year; I was quickly reminded of how dry my hands get and how awful it is to sew when your hands are like sand paper? With an upcoming trip to Wisconsin, this condition is surely to get worse. Ugh! 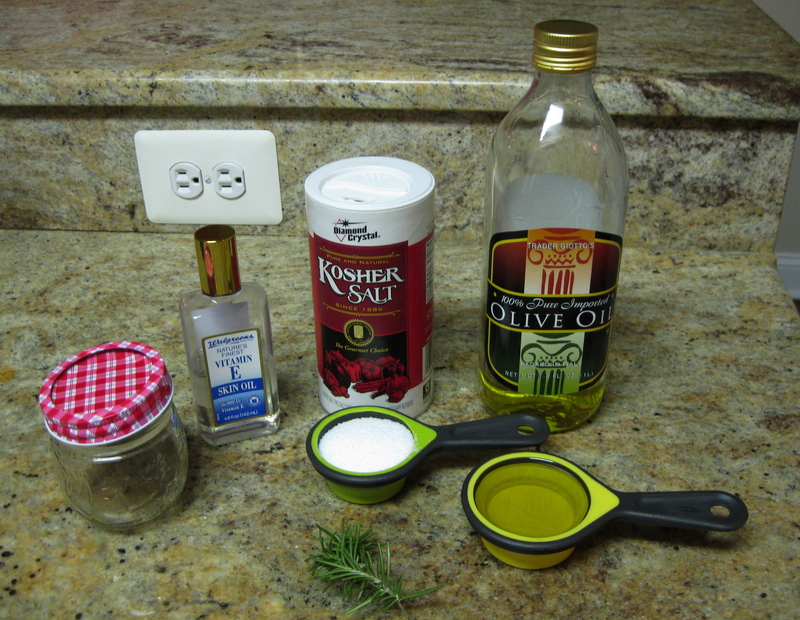 Then I remembered a recipe I found a few years ago which is for a salt based hand massage oil. It’s the best thing I found – somewhat like fine sandpaper for hands that feel like sandpaper! Since the ingredients are mostly kitchen staples like salt and olive oil, I spent a few minutes putting this together tonight and snapped a photo. I’ll give you the proportions but believe me, it’s not like baking a cake. A little more or less of any of the ingredients won’t make a difference at all. 1/3 cup olive oil – cheap is fine. Your hands won’t know the difference. 1-2 teaspoons Dawn or other dishwashing detergent (this makes it easier to wash off the oil after you have massaged your hands). After all, if it works to clean oil covered birds from an oil spill, it should work on your hands). Mix the above and place it in a jar, and it’s ready to use. Take about 1 Tbsp of the mixture and place in the palm of your hand (or it’s a great foot massage too). Rub your hands together for a minute or two, which seems like forever. Then wash under warm water and dry. You may want to follow up with your favorite hand cream. It feels great and except during the deep cold of winter, those little snags are gone from your hands when you’re done. Now, here’s the best part. 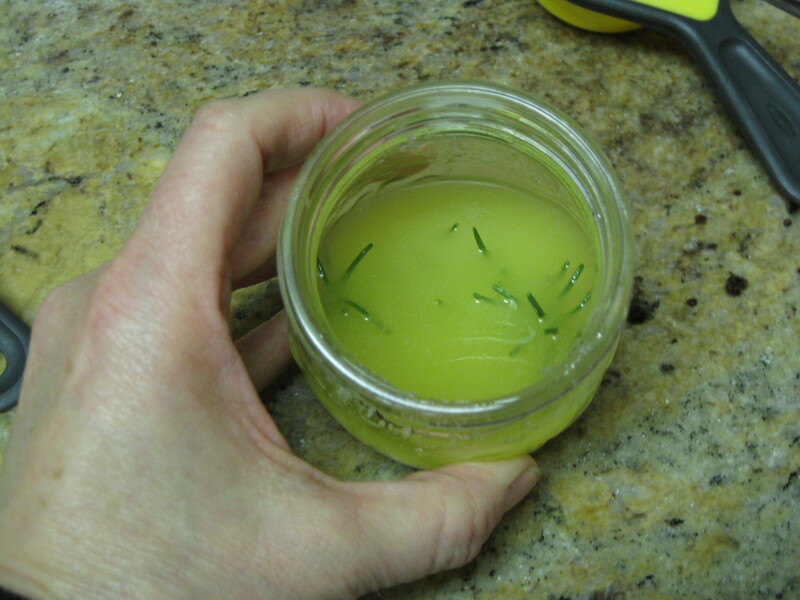 If your hand-made gift items are still on the sewing table unfinished, just make some massage oil for gifts. Place it in a nice jar and tie a bow around it. 15 minutes at most and you’re done. Your family and friends will love it.